Our spinal column is an integral part of our body. It is responsible for aiding us with upper body movement – bending forwards, bending backwards and twisting side to side as well as housing our spinal cord that runs through a hole in each of the 33 vertebra. The spinal cord is part of our central nervous system and is responsible for carrying messages from our brain to our nerves in turn allowing us to bend and flex our muscles and generally allows us to be mobile. In between each vertebra is a soft disc called an invertebral disc that is made of cartilage and acts as a natural shock absorber for our spine, preventing knocking and rubbing together of our vertebrae. Because of various reasons like disease or wear, it is sometimes necessary to replace these discs by using a procedure called artificial disc replacement surgery. Sometimes surgeons might suggest that the disc be completely replaced by an artificial one, almost always because of a recurring chronic back pain problem. Although relatively new, the procedure is gaining popularity daily for its high success rate of close to 85%. Traditionally, instead of performing artificial disc replacement surgery, surgeons have opted for spinal fusion surgery, but as the procedure becomes more and more practiced around the world, it is quickly becoming the preferred choice for this kind of spinal problem. Artificial disc replacement surgery has the potential to avoid premature degeneration on the discs directly above and below the affected vertebrae if spinal fusion surgery is used because it allows normal spinal motion. There are several different artificial discs manufactured for artificial disc replacement surgery but the procedure remains very much the same. First, a small incision is made in the abdomen and the diseased or degenerated disc is completely removed from between the spinal vertebrae. Then the surfaces of the vertebrae above and below the removed disc are cleaned of any debris that may have been left behind before the vertebrae are spread apart relieving the pain caused by the pinched nerve. The artificial disc is then inserted piece by piece, starting with the endplates and followed by the soft middle part of the artificial disc. As the surgery is still relatively new, there are strict criteria needed and a long series of follow ups are necessary after the operation. If you suffer from bone disease or tumours, you won’t be eligible for the artificial disc replacement surgery. The NHS does offer the artificial disc replacement surgery as a choice but stipulates that only every 1 in 10 cases of spinal pain will need or qualify for the surgery, so if you do qualify, this operation is very accessible to you. 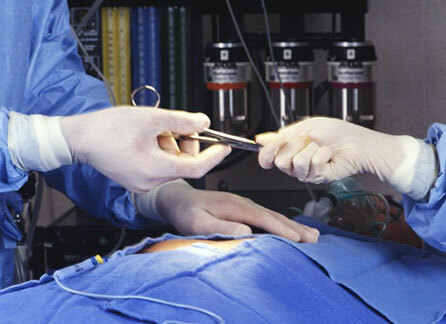 If you need to pay for the artificial disc replacement surgery however, it can be extremely expensive but proper cost would need to be obtained from you surgeon as there are many factors contributing to the cost of this operation.